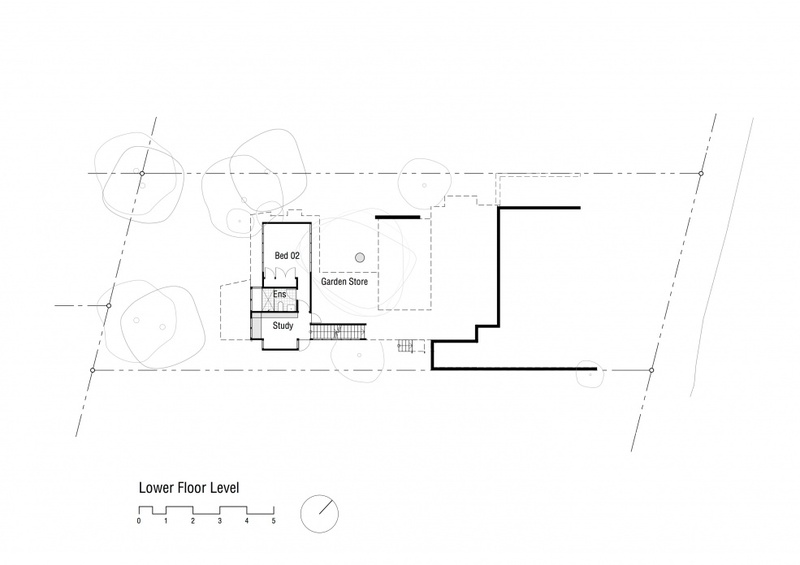 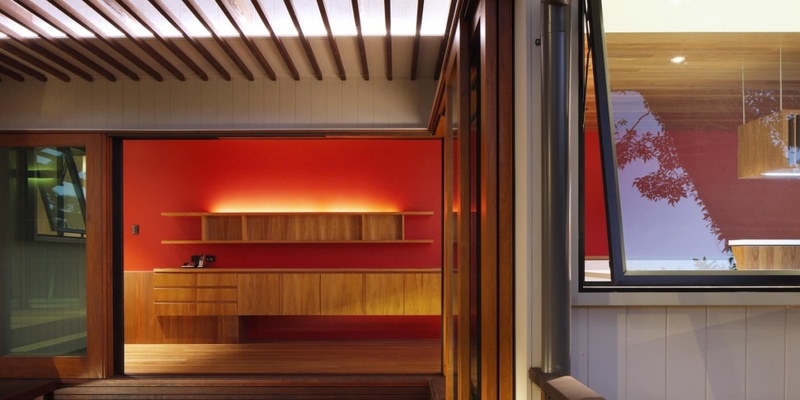 The client for the project had lived on the site for many years in an old post war house that was beyond saving. 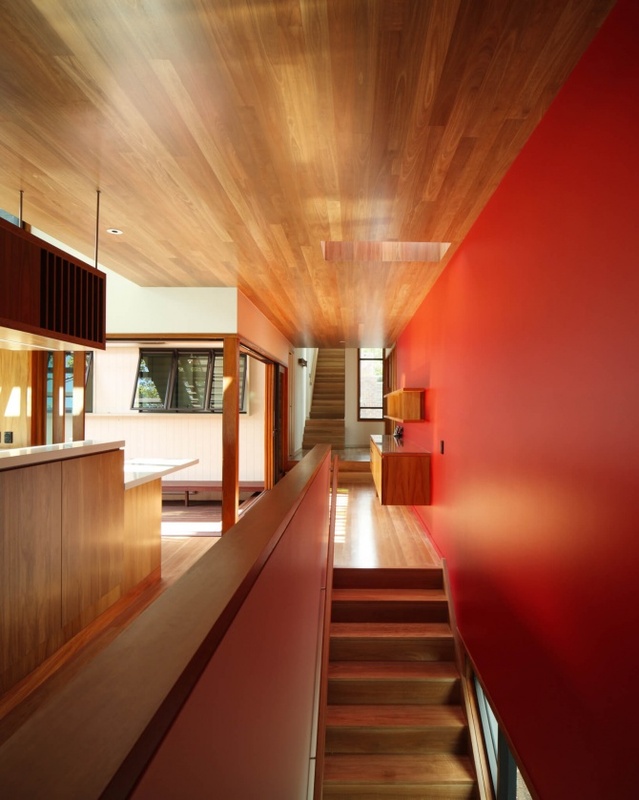 The house was removed and a new home built that was suitable for a single person. 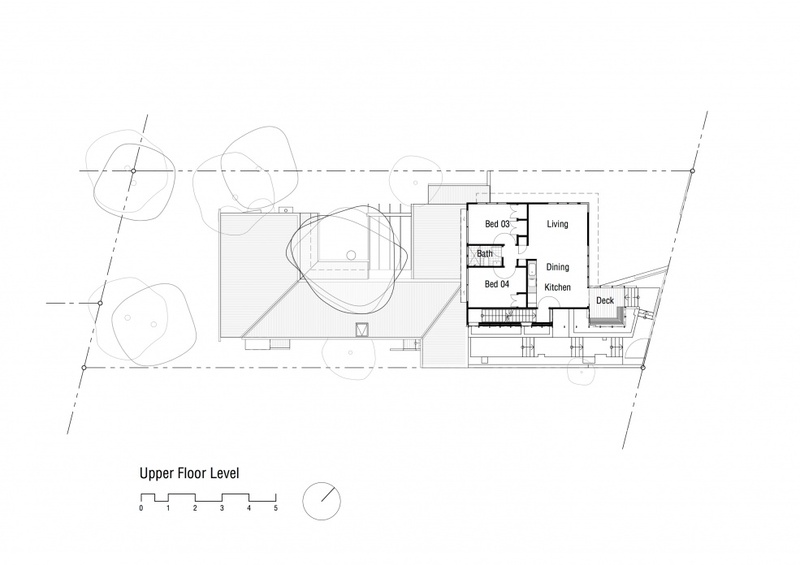 Included was a connected self contained flat designed to accommodate students or the like or become part of the house proper, suiting a future large family. 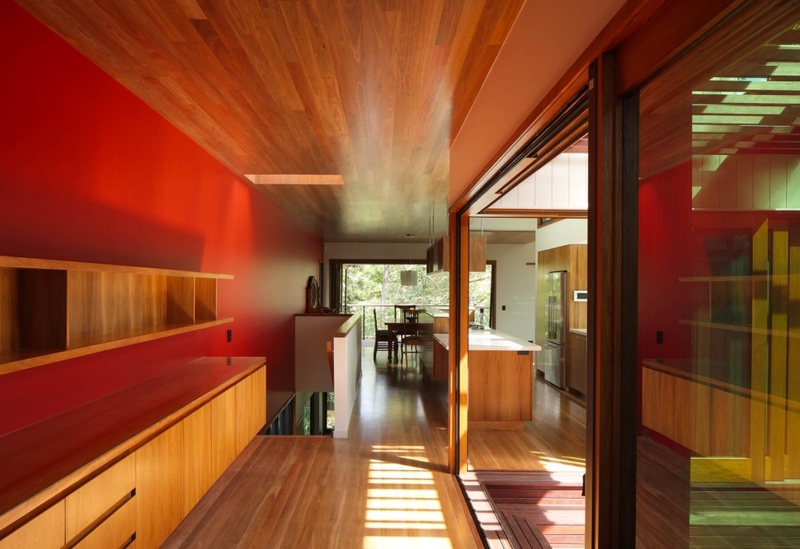 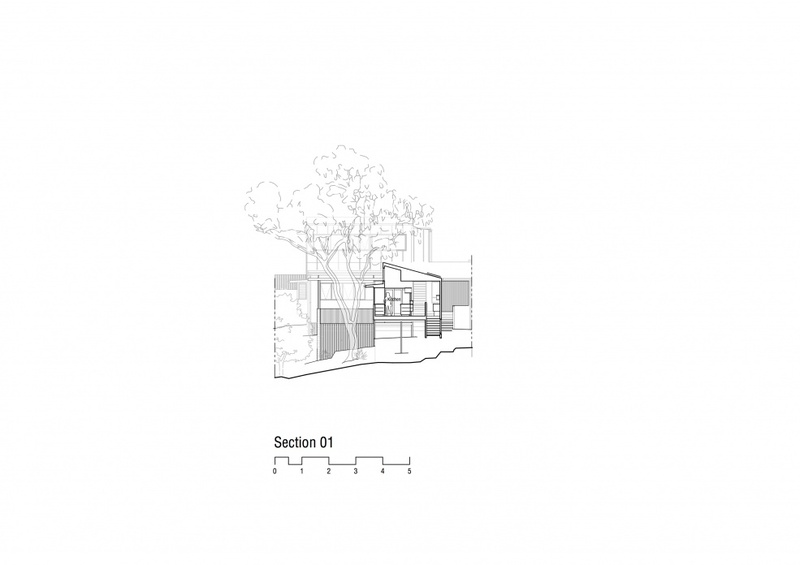 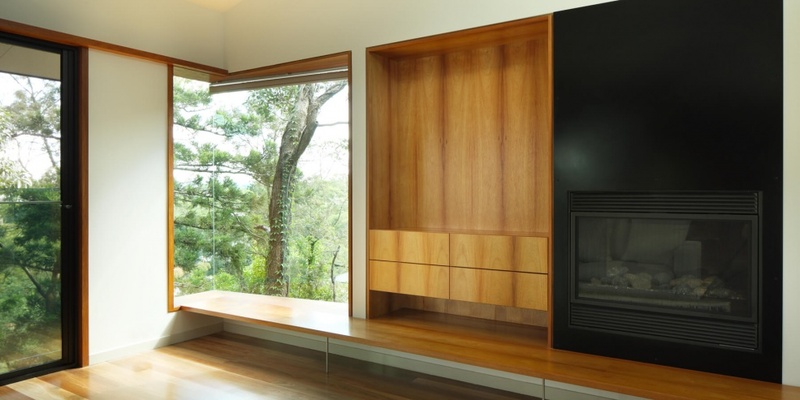 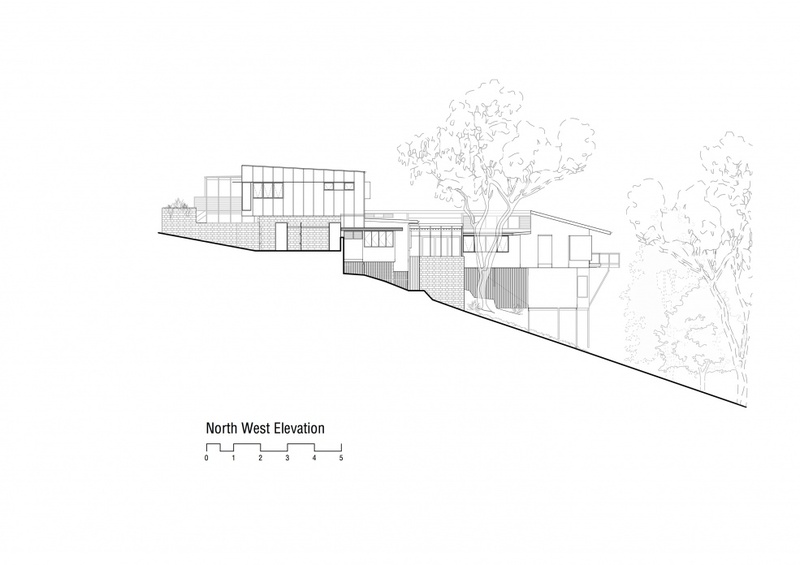 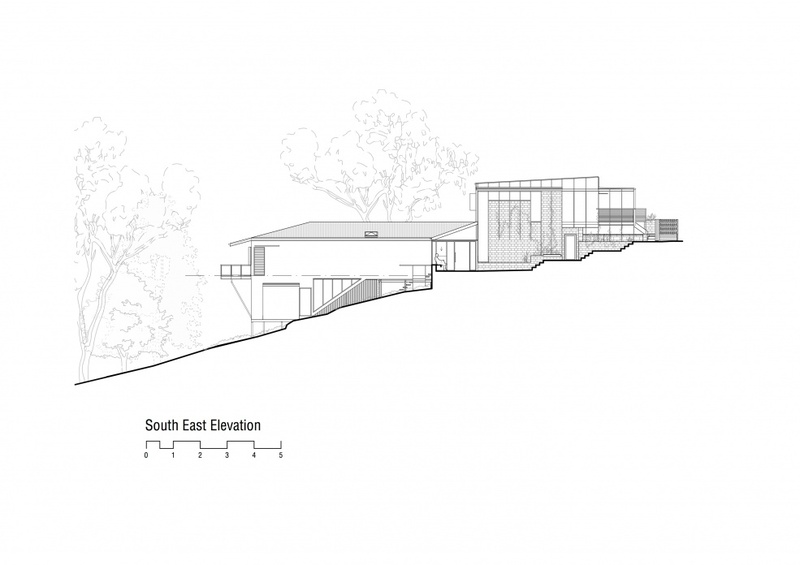 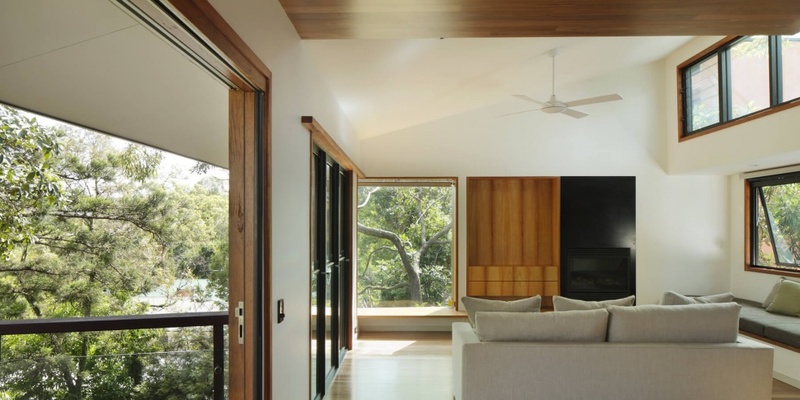 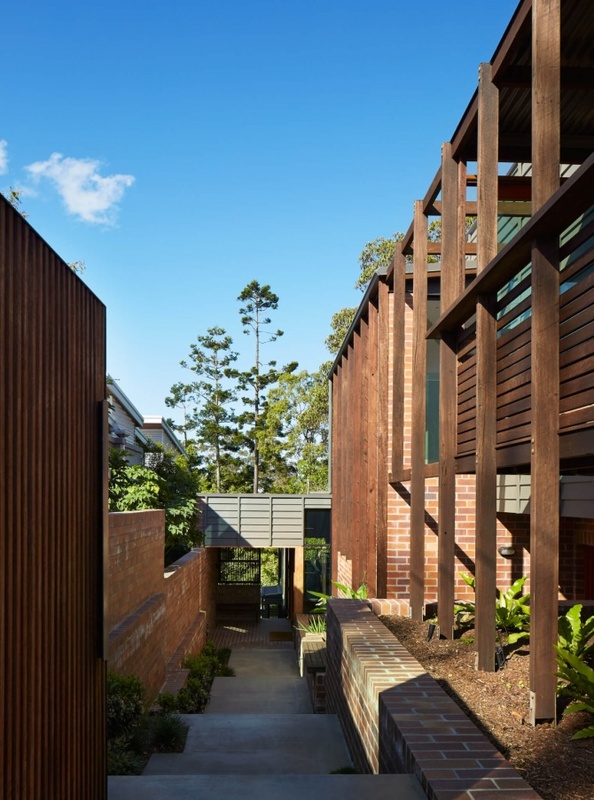 While the flat directly engaged with the busy street the main house was placed at the rear of the block with the living areas high amongst the trees looking out over the gully to Mt.Cootha in the distance. 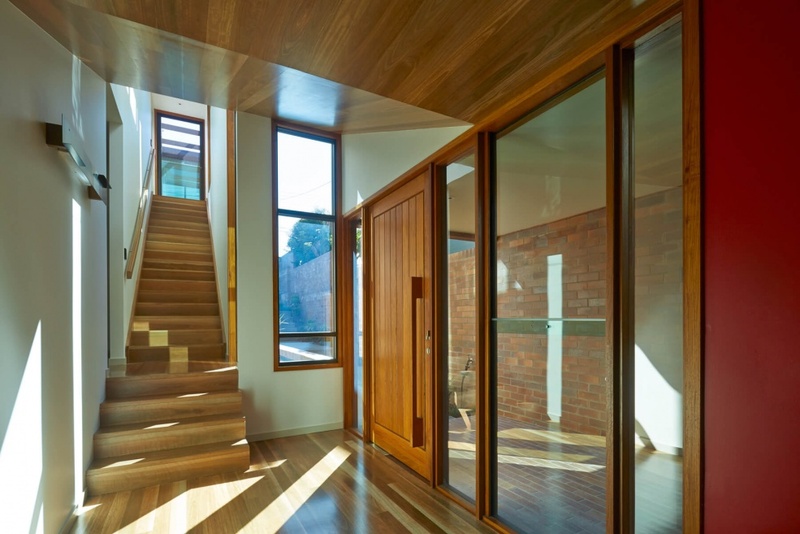 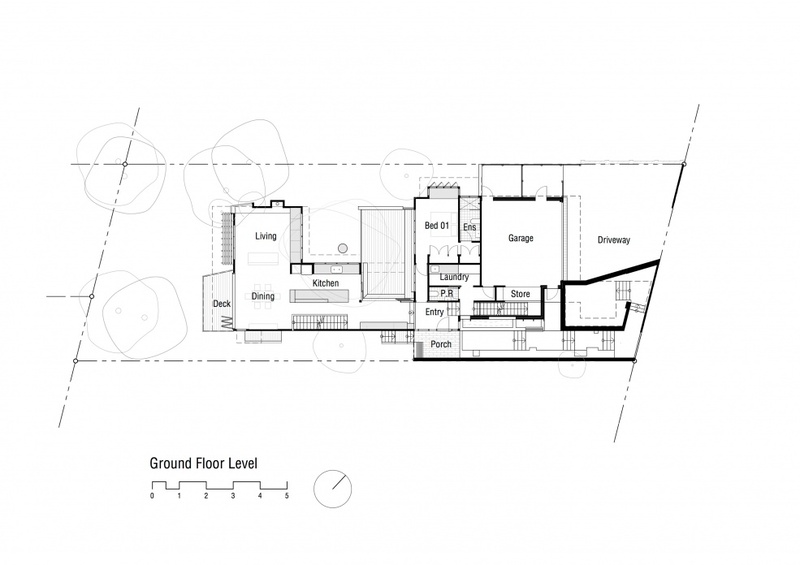 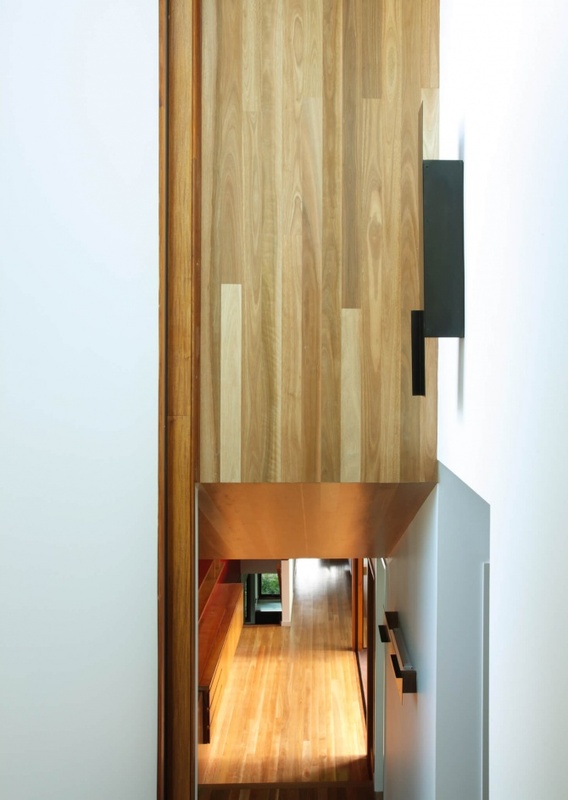 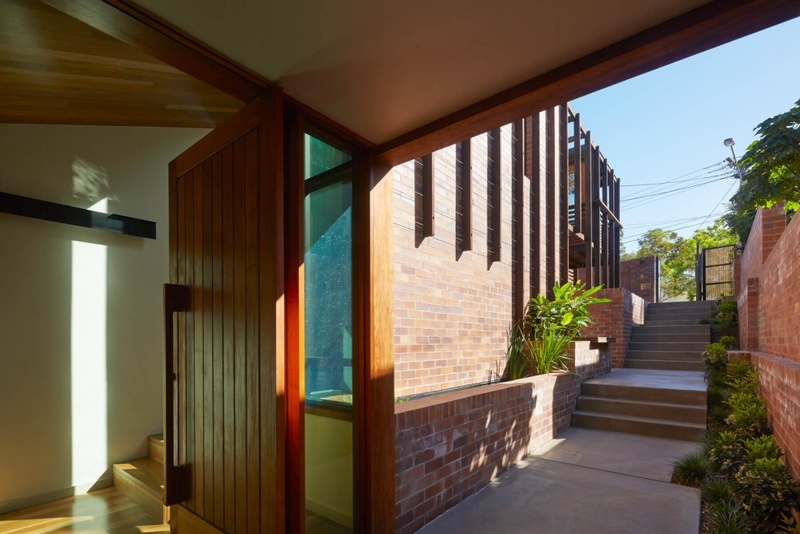 The main house was accessed via a narrow stepping courtyard that creates a wonderful transition from the busy street to the serene space of the house. 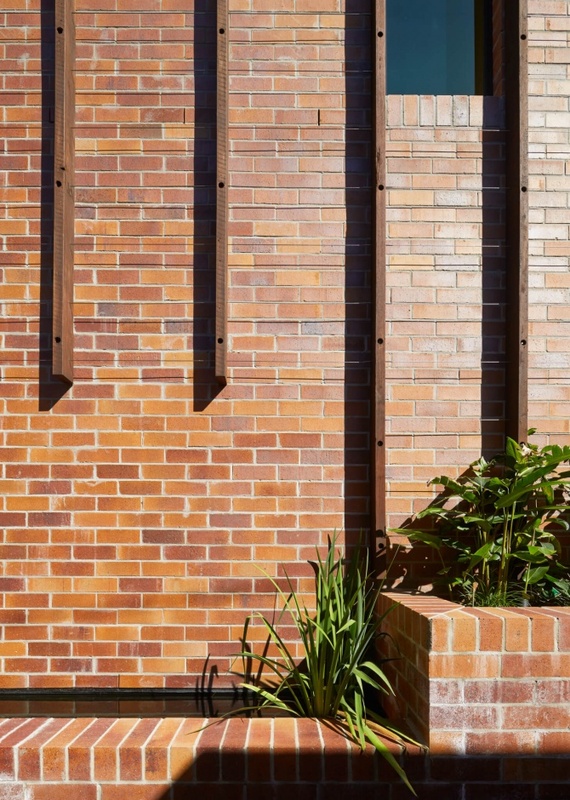 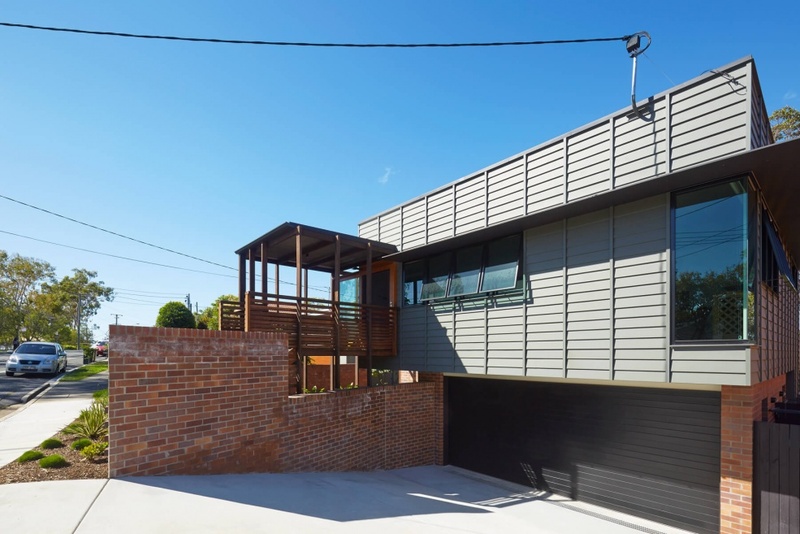 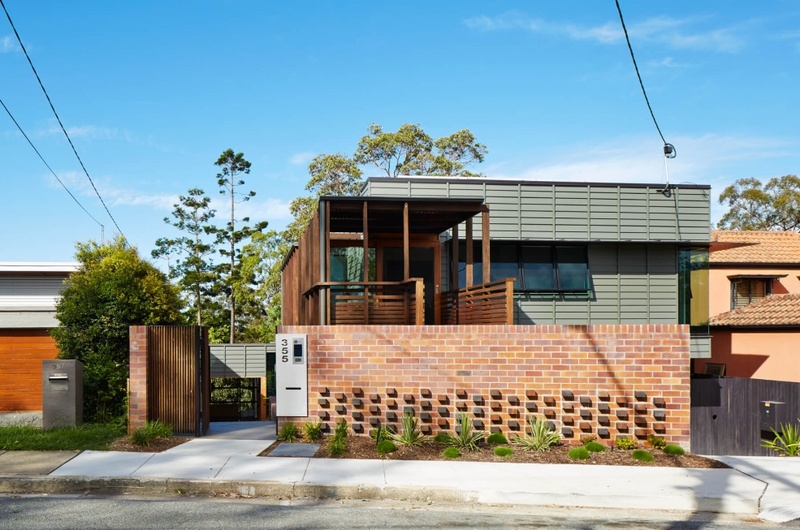 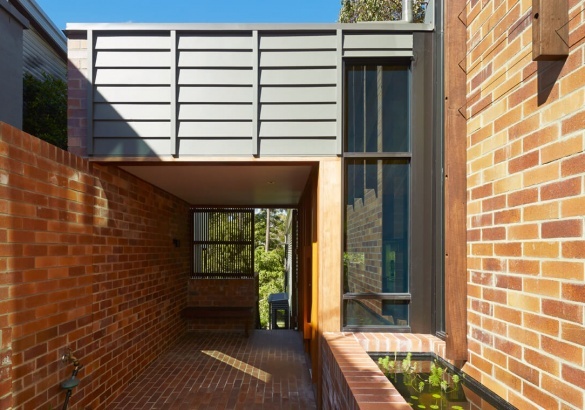 Brick was selected as the principal material of this courtyard and front fence due to its common use in the suburb and the way in which it anchored the elevated house to the ground. 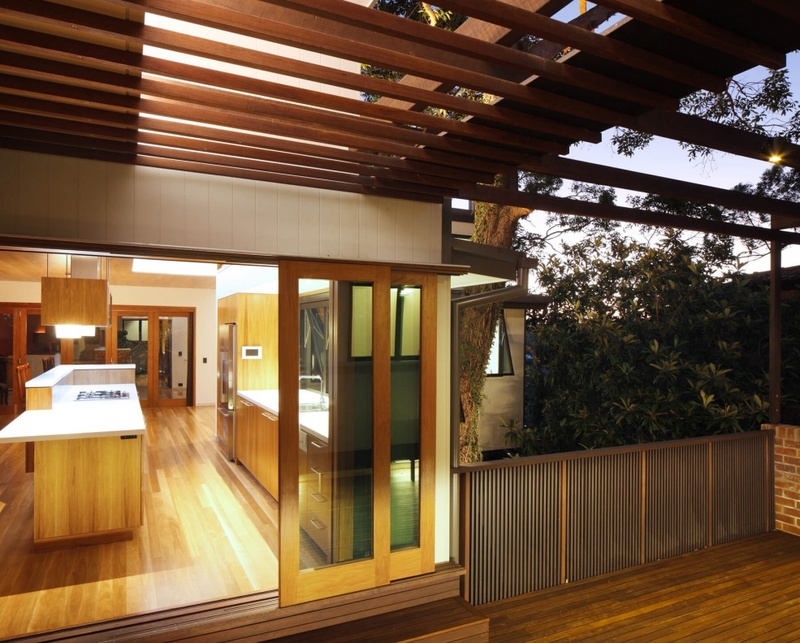 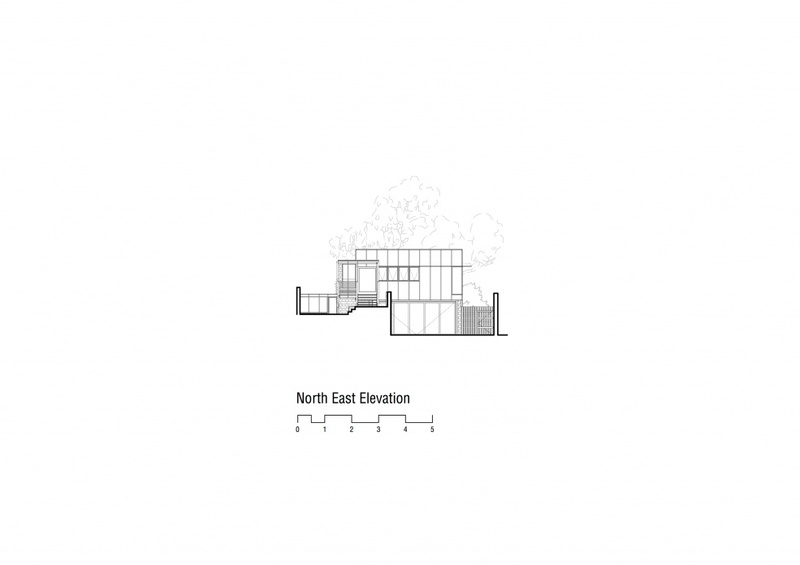 Key to the planning was a central courtyard and deck that enabled the living areas to access northern light and winter sun. 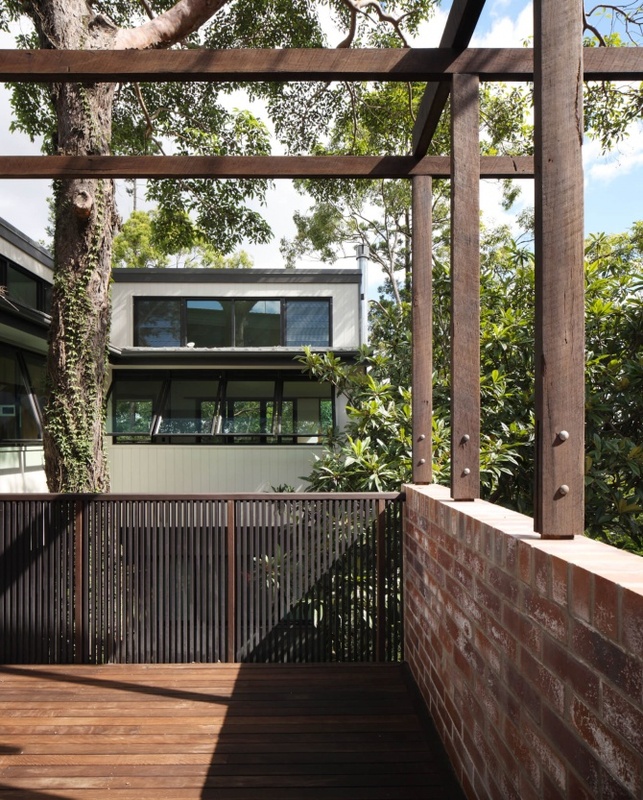 The courtyard also allowed for a mature tree to be retained giving the new structure a sense of history and place, reinforcing the tree-house feel, and providing further protection from the summer afternoon sun.